California-based fast casual restaurant chain Chipotle Mexican Grill Inc (CMG) reported better-than-expected operating results across the board for the fourth quarter of 2018 and for the full year thanks to higher customer traffic and menu price increases. Chipotle stock surged 10% to 580 in late trading Wednesday following release of the positive earnings report. In 2018, Chipotle’s stock had its best year since 2013 with shares soaring nearly 50 percent. This trend looks set to continue into the first quarter of this year. In its earnings report released yesterday, Chipotle said its revenue for Q4 jumped 10.4 percent to $1.2 billion, quarter-on-quarter. Net income for Q4 was $32.0 million ($1.15 per diluted share). This compares to the net income of $43.8 million ($1.55 per diluted share) in Q4 2017. Adjusted net income was $48.1 million and adjusted diluted earnings per share was $1.72. Comparable restaurant sales rose a respectable 6.1 percent while digital sales through the internet grew 65.6 percent and accounted for 12.9 percent of sales. Restaurant level operating margin was a healthy 17.0 percent, a boost from 14.9 percent quarter-on-quarter. The company said it opened 40 new restaurants and closed or relocated 12 others. Full-year results were also commendable. Revenue for 2018 improved 8.7 percent to $4.9 billion. Full-year net income came to $176.6 million compared to $176.3 million for 2017. Adjusted net income was $253.4 million. Comparable restaurant sales increased 4.0 percent while digital sales grew 42.4 percent and accounted for 10.9 percent of sales. Restaurant level operating margin was 18.7 percent, an increase from 16.9 percent. Chipotle opened 137 new restaurants and closed or relocated 54 others during 2018. Niccol said growth acceleration in Q4 gives Chipotle confidence its strategy is working. He said relevant marketing focuses on Chipotle's great taste and real ingredients, and provide more convenient access. Niccol is focusing on growing Chipotle’s digital presence and marketing investments to return the company back to stable growth. Digital orders in Q4 jumped 65.9 percent, accounting for $158.6 million in revenue. The boom in digital orders has forced Chipotle to update its kitchens with a second assembly line only for digital orders. The company is also testing what it calls “Chipotlanes,” or drive-through windows for customers to pick up their online orders. In its earnings guidance for the full-year 2019, Chipotle estimates mid-single digit range comparable restaurant sales growth. The company plans 140 to 155 new restaurant openings this year worldwide. Chipotle has a presence in the United States, Canada, United Kingdom, Germany and France. 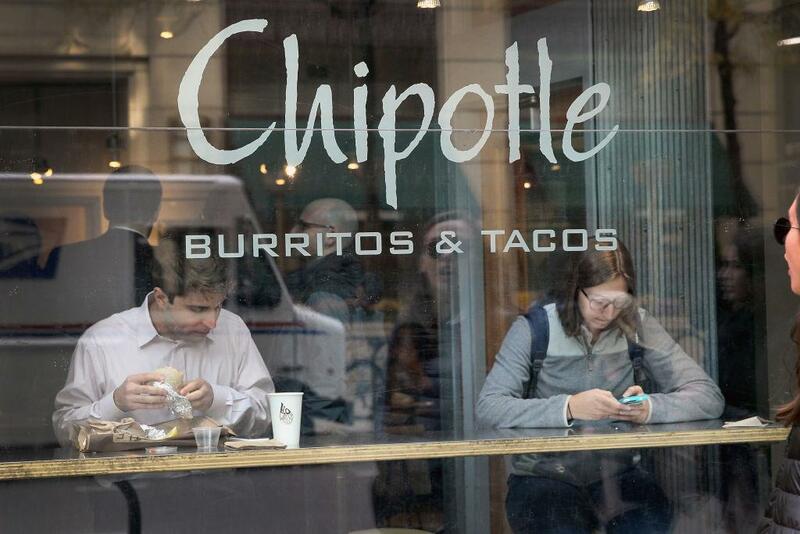 To pay for its expansion, Chipotle will implement “modest” price increases this year. These increases will help offset labor inflation, which is expected to come in at 4 to 5 percent.